The Urban Development Kit is a collection of tools provided to help plants in Helsinki and similar modern cities, to prevail against pavements, concrete and asphalt. 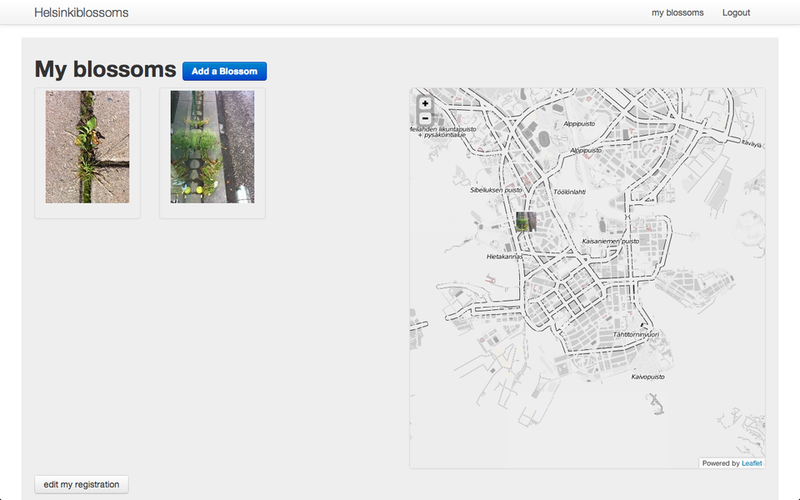 A website and an interactive map enables the people to collect photos of "asphalt flowers" in Helsinki and to monitor the progress of the "cultivation" of the city. In connection to urban environmental research, the urban development kit is a statement about the importance to counteract the sealing of the surfaces in the city. Accordingly, in the exhibition can be seen initial designs for urban outdoor surfaces which are based on the geometry the plants themselves. Ursula Damm has become known for her installations dealing with geometry and its social impact on public space. 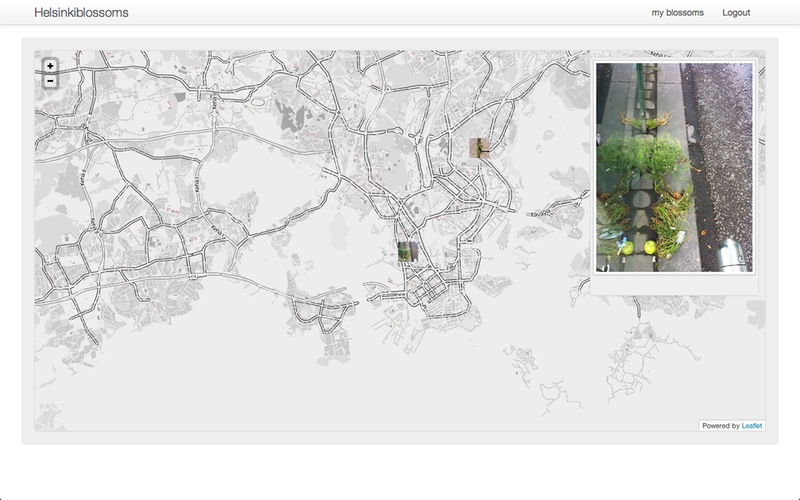 Since 1995 these installations became interactive, dealing with architectural aspects on the basis of tracking technology of closed circuit video cameras (www.inoutsite.de) from public places. Aside she developed numerous installation on the relationship of nature, science and civilization like Venus I-IV (part of the collection of the Ludwig-Museum Koblenz) or double helix swing (honorary mention ars electronica 2006). Ursula Damm has had solo exhibitions at the Goethe House in New York, at NeuerAachenerKunstverein, Aachen and at the Kunstsammlung NRW Düsseldorf, K20, Germany (at the fountain wall) et.a.. Her work has also been featured in group exhibitions at the Translife Triennale at NAMOC Peking, Laboral Centro de Creation Industrial, Gijon, Spain, BIOS4, Centro Andaluz de Arte Contemporáneo, Sevilla, Spain, the Ludwig Forum for International Art in Aachen, Germany, Conde Duque, Madrid, Spain and the Wallraf- Richartz-Museum Cologne, Germany et.a. She has also participated in several international festivals, including Ars electronica 1999, Linz, Austria; ISEA 2002, Nagoya, Japan, Festival New Film New Media Montreal, Canada (honorary mention category interactive art) and „Paradoxien des Öffentlichen“, Lembruck Museum Duisburg. Currently she works on an interactive installation and setting for a public place at the Metro-Station Schadowstrasse in Düsselodorf/Germany. Since 2008 she holds the chair of Media Environments (Media Arts&Design) at the Media Faculty of the Bauhaus-University Weimar.